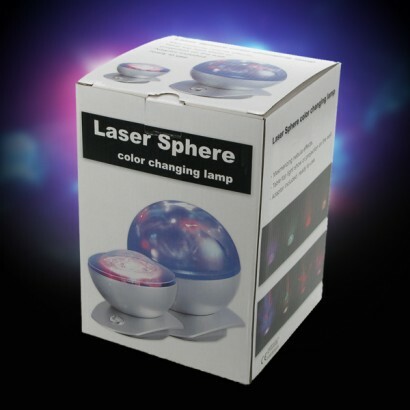 A futuristic looking colour change mood lamp, the Laser Sphere Projector has a split personality! 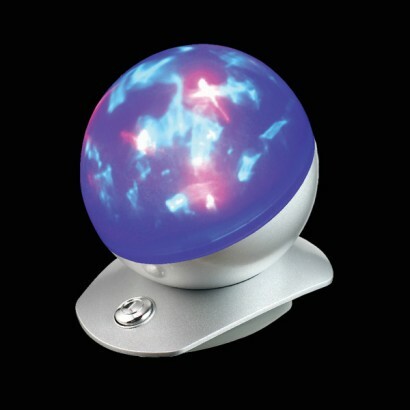 A stylish looking, soothing colour change light, remove the iridescent semi sphere diffuser and a dazzling light show projects star and nebula effects into your room! Perfect for relaxing or for entertaining, this enchanting lamp is certainly a conversation starter and also makes a stunning light for children's rooms. Gives a really nice effect,a lot better than the cheapo ones on eBay.Need to have no other lights on to get the full effect. Bought this to help my 8 yr old autistic son relax at bedtime. He absolutely loves it and it seems to do the trick. Good value couldn’t ask for more like lights are softer and more of a glow with the dome. However when you remove the dome the light fills the room like having the aurora borealis on the ceiling. Bought this same lamp for my Grandson 2 years ago. After it stopped working he missed it so much i have bought him another for his 9th birthday i hope it lasts longer. 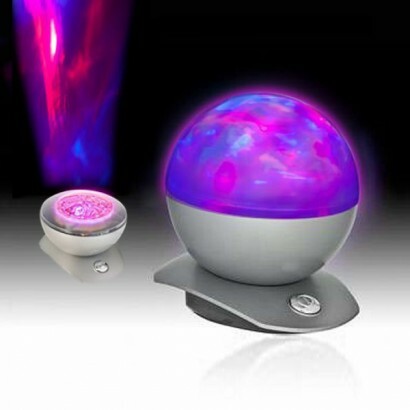 Gives a wonderful moving light show over the bedroom ceiling or a gentle colour glow. This is the third purchase of this light I have made. I bought one for myself first, and was so impressed I bought one for my step daughter. Whilst visiting her, her mother fell in love with it, so without hesitation I got her one too! She loves it, my step daughter loves it, I love it! The patterns it creates are captivating, relaxing and beautiful. My favourite light by far, superb value for money. And more importantly it has brought a lot of joy and tranquility to, well, at least three very happy customers!